Coaching Little League Baseball can be one of the most rewarding, and at the same time most challenging, coaching jobs in all of sports. A well-seasoned and effective coach working with players who are still in their formative years, can provide a foundation for future success in baseball. On the other hand, dealing with inattentiveness , short attention spans and lack of focus on the part of players at this age can be frustrating for a coach. Also, one can never forget the challenges to come with dealing with the parents of Little League ball players. Any given team will have one or two sets of parents that overestimate or overstate the talent of their child. That is not to say that there are not some good or even great ball players at this age, but parents should be aware that coaching should be left to the coach. This is one of the first things a coach should impart to his team and to the team parents. Coaching a player in the Little League system requires patience and understanding of where the children are at developmentally. Older players in the system usually have this mastered, but younger players will struggle with the ability to pay attention to coach throughout the entire practice. Coaching this age is also extremely rewarding. Correcting minor flaws in a player’s swing or throwing motion can have a lifelong effect on their ability to play baseball competitively. The lower end of the Little League age group is also learning the basic fundamentals of the game. Teaching them proper fundamentals is essential to future success in competitive baseball. Some players take to the game immediately while others learn with very little direct supervision and then there is a group who need a lot more Hands-On coaching. This last group is the group that the coach can have the most impact on. Patience can go a long way and can affect whether a player continues to play competitive baseball. And inpatient coach can negatively affect the players self-esteem or desire to play. Younger players are very impressionable and can easily be turned away from the game at this age. Some players also take to the game like a fish to water. They already know the fundamentals from playing pick up games with their friends. They’ve already established themselves as good players and have learned fundamentals through trial and error, or with the help of their parents or older siblings. This type of player one require too much direct attention. Baseball is the sport in which the better players come with an abundance of natural talent. It’s the Little League coach’s job to hone that talent. Players without that Raw Talent can still be shaped into productive players. This is where the little league coach can shine. He must be a patient and focus on the player’s needs. 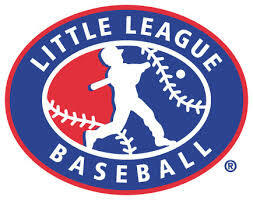 Little League coaching can certainly be a challenge but it is worth the time and effort required.